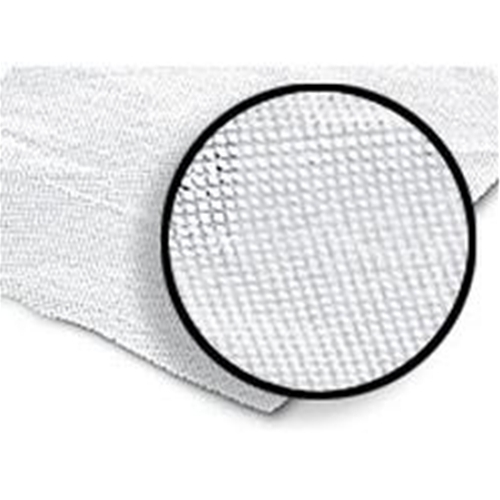 Conformant 2 Non-Adherent Wound Veil from HealthyKin.com is a sterile, air permeable, transparent, polyethylene wound contact layer designed to act as a non-adherent interface between the wound and the secondary dressing. It is non-adherent and saves nursing time. Because it is permeable and flexible, Conformant 2 can be used over most wound sites under an absorbent outer dressing. Because it is made entirely from high-density polyethylene, it tears easily and uniformly in the direction of the grain for dressing customization. Conformant 2 is compatible with most topical agents, liquids and creams. It covers the wound and allows removal with less disturbance to granulation tissue. Transparency allows easy monitoring of a wound or graft. Conformant 2 dressings are indicated to provide covering for the wound bed. For OTC applications, it may be used for the management of minor wounds including abrasions, skin tears, minor burns and scalds. Under the care of a healthcare professional, Conformant 2 may be used in the management of partial and full thickness wounds including leg ulcers, pressure ulcers, second degree burns, surgical wounds and diabetic foot ulcers. It worked really well ... it covered a skin graph and it did not adhere to the wound . I have tried numerous non-adherent dressings that adhere. The veil also adheres but does the least amount of damage when removing. I have to use sterile saline solution to unstick the veil taking care & allowing the solution to loosen the veil from the venous ulcer. Why can't someone come up with a non-adherent product that doesn't have a chemical and doesn't stick. Systagenix had a dressing called Restore, it didn't stick, had no chemicals and they discontinued mfging it. Go figure!! As advertised, good price, prompt delivery. use in wound care. Minimal sticking to wound, a few drops of saline loosens veil for removal. will purchase again. This product is an essential part of my wound care of a venous stasis ulcer. It aids in preventing gauze and other wound coverings from sticking to the wound. While there is still some slight sticking, applying a few drops of a sterile saline and letting it set for a minute, helps detach the veil from the wound.